In 2006, Italian Prof. Thomas Simpson discovered a painting in a small museum in Italy and investigated enough of the scandalous murder story behind it to write a book. 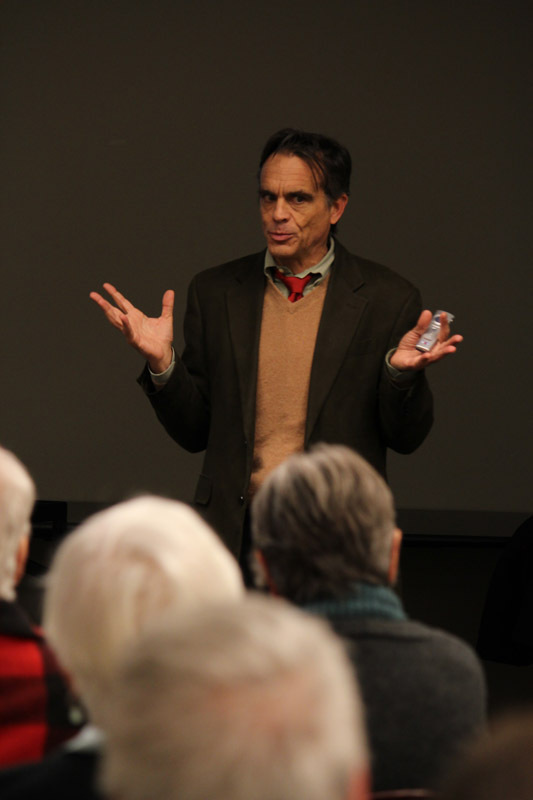 Simpson gave a lecture Thursday night at the Evanston Public Library, where about 40 people gathered to hear about “Murder and Media in the New Rome: The Fadda Affair.” His talk was the second lecture in the 2012-2013 Evanston Northwestern Humanities Lecture Series. Lesley Williams, the library’s head of adult services, said the most popular lectures are ones thatpeople can relate to themselves and to the present. Evanston resident William Geuss said he appreciated the fact that the painting was Simpson’s inspiration for his book. In the painting, Italian women look down from a courtroom balcony at Raffaella Saraceni, a woman who had an affair with a circus acrobat who allegedly stabbed and killed her husband, Giovanni Fadda. Simpson said the “Fadda Affair” became a sort of entertainment for the public as the media supplied news about it almost every day. Simpson said people became attached to the scandal because it brought forth tensions people were feeling about the unification of Italy and their own personal matters. Saraceni became the controversial center of people’s personal issues, Simpson said, whether she represented women, southern Italy or a rebel undermining the government by killing her war-hero husband. The trial became very much a political symbol and the manifestation of social tensions, Simpson said.